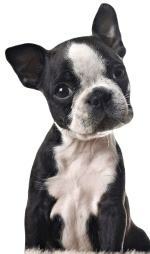 The Boston Terrier is a very alert, friendly, overall happy go lucky type of dog. They are very family oriented and do great with children and other pets. This is a good breed of dog if you are looking for an energetic little bundle of joy that will keep you entertained for hours on end. Boston’s live to please their owners and are always eager to make people happy. An entirely desirable trait that this breed possesses is that they are very sensitive to their owner’s wishes and moods. There is no doubt that the Boston Terrier is a companion dog, and they will stick by your side no matter what. This is a very energetic and playful breed of dog, but they actually don’t require a ton of daily exercise, which makes them ideal apartment dogs. They also don’t excessively bark, and if trained properly, will only vocalize when they are playing. Although their exercise requirements are fairly low, they still need a small amount of mental and physical exercise to prevent them from becoming high-strung and anxious. If you have a backyard or a place for your little Boston to run around and play, you will be their absolute best friend. Boston Terriers have a lot of energy and love to play, but there is a downside to all of that. Boston’s will run and play and push themselves as far as they can, which is not safe for them. They tend to overheat fairly quickly and it is crucial that their owner is outside with them, supervising playtime, making sure they do not overheat or work themselves too hard. With this being said, Boston Terriers have a very low cold and heat tolerance, which is something to keep in mind depending on where you live. These quirky dogs are also quite vocal. Due to their short muzzle and smushed nose, they take in a lot of air when they eat and drink leading to a variety of burping, passing gas, snorting, and coughing. This is standard for this breed and is nothing to lose sleep over unless you suspect something is wrong. Overall, this is an excellent breed for apartment dwellers and families of all ages. If you’re looking for a lively, energetic and highly entertaining bundle of energy, then the Boston Terrier may just be the perfect dog for you. 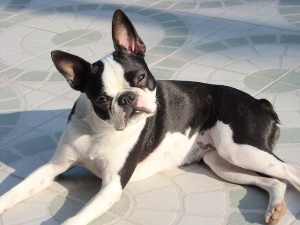 Unique from most other breeds, the origin of the Boston Terrier is very well documented. Their history dates back to 1865 when pit fighting was still relevant and popular. Coachman employed by the wealthy people of Boston began to cross breed the purebred dogs of their employers. 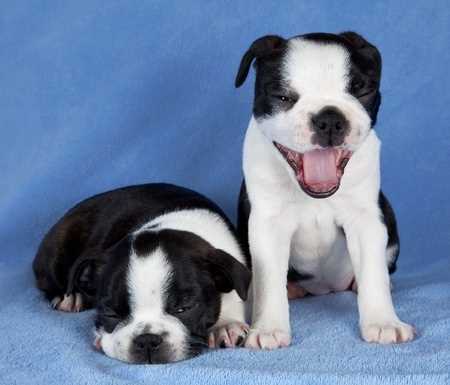 The Boston Terrier resulted from a combination of the English Bulldog and the now extinct White English Terrier. Surprisingly, these dogs were originally bred as fighting dogs, which is a little hard to imagine considering what we know about them today. The original size of the Boston Terrier was larger than what we see today, and over years, they were bred down to what we now know as the perfect companion dog. This breed was introduced in 1893 as part of the American Kennel Club and placed in the non-sporting category despite the name. They remained popular throughout the first half of the 20th century, perhaps because they were an All American Breed. More likely, though, they were popular because they were just a great breed of dog. Today, they are the 23rd most popular breed in the United States. 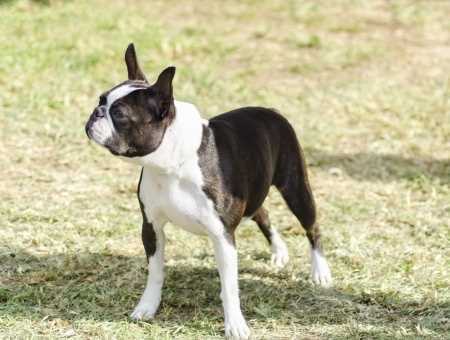 The coat colors for the Boston include brindle, seal, or black with white markings on muzzle, between eyes, and chest. The color seal will look black at first glance, but in the sunlight, it will reflect a sort of reddish tint. They adopted the name “American Gentleman” due to the unique and distinct coloring and markings they have that can resemble a tuxedo. This is a very smart breed of dog, and although they can be stubborn at times, it is still nonetheless bright and learns readily. 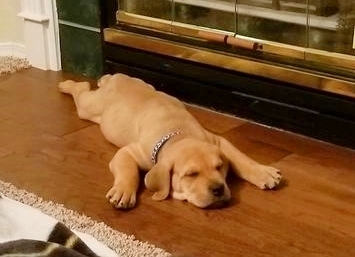 With a high degree of determination and intelligence, this is not a hard dog to train. Since this is a small breed of dog, they can develop Small Dog Syndrome, which is something to look out for and try to avoid with your pup. Small Dog Syndrome is a condition that leads your dog to believe that they are the alpha dog and pack leader over you. This can happen if the owner and/or person training them do not display the leadership that all dogs need to have. Without proper leadership and making sure your dog knows that you are the one in charge, they can develop many behavioral problems, which is not something you want for your Boston Terrier. They thrive with a gentle, but also firm, consistent, and confident pack leader, especially during training. Early socialization is also recommended with this breed, as well as any other breed. Boston’s are naturally good with families and children, but early socialization to kids and other animals could still be beneficial. However, without proper training, your dog may become nervous around other dogs, and try to fight them, which is not something you want. Another characteristic of this breed is that they are pretty quiet when it comes to barking. They will only bark if they are being riled up during play, or if they see a stranger, as they make good watchdogs. This being said, training while young, will help ensure your dog not to bark excessively. As long as you work with the breeds stubbornness, and not allow them to be in charge of you, this is one of the easier breeds to train. "Boston Terriers are very active dogs that love to play. Without some basic training they may jump on you and maybe even give little nips while playing." 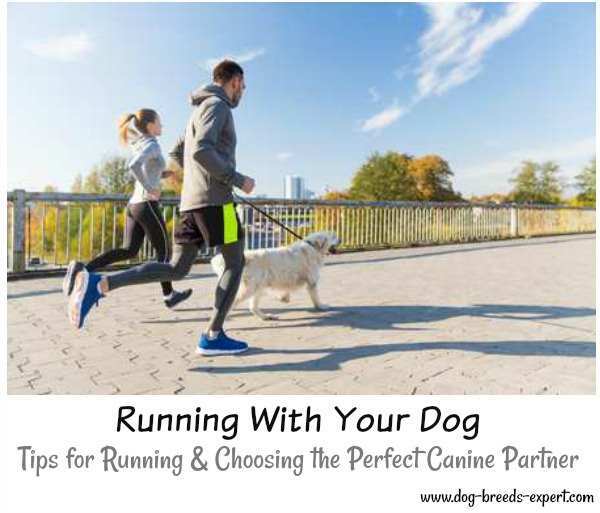 Before choosing this breed, be sure to estimate the time it will take to train and exercise these dogs. They are not couch potatoes and their intelligence makes them prone to boredom. A bored dog can be a problem dog. 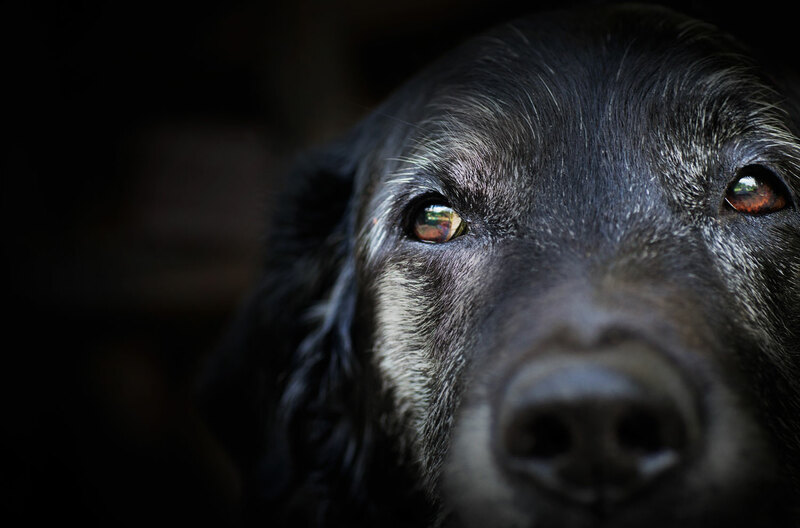 Although small in size and stature, these dogs make excellent watchdogs due to their overwhelming amount of love and devotion to their family and owners. This dog loves to care and watch out for their loved ones, and will bark at any strangers or unnerving noises or people. They can be trained not to bark at anyone or anything, but their natural instinct to watch out for their family often shines through. With this being said, they do not have high protection ability, simply due to their size. They can detect threats and watch over your house for days on end, but when it comes to protecting you against a physical threat, you may want to invest in a baseball bat for that. This is a good breed of dog if you are not looking to spend all your time grooming them. Their grooming needs are small due to the Boston’s short and shiny coat of hair. A regular brushing once a week will be more than suffice for these little guys. Brushing will help remove dead hairs and keep shedding to a minimum, especially since this breed is already a minimal shedding breed, which is good for those with allergies. Regular bathing is a given as well as checking on their nails, teeth, eyes, paw pads, etc. It is also important not to neglect their face wrinkles. Since they have many folds and crevices in their skin, bacteria and dirt can tend to collect there, especially around the eyes. A simple wipe with a cleansing cloth will do the trick. All in all, this is a very easy dog to groom and take care of coat wise. 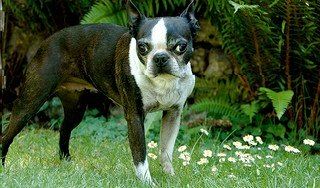 Boston Terriers live fifteen years plus, but due to their facial structure, they can suffer from some respiratory problems. Although they have incredibly cute faces with their muzzle and adorable short noses and flat faces, it does come at a modest price. If you think this little terrier breed might be perfect for your family, may I suggest that you do a little bit more research, just to be sure. You may want to download a copy of the official AKC Breed Standard or the breed's brochure available from the AKC Website. Here are a few good books that you might find helpful. Click on a book to read more about it.